Einstein’s General Relativity contains the Laplace operator of a sphere of incompressible liquid. It links the time-like solution (how fast does the clock tick) directly with the gravitational potential: no need for using tensor operations. He never applied it to the potential inside a sphere. This article is doing so, which leads to surprising results. The gravitation potential forms now an elegant continuous equation from the centre of mass to infinity. Applicable for a celestial object. Checking its minimum, it also results in the Schwarzschild radius always being smaller than the radius of the sphere. 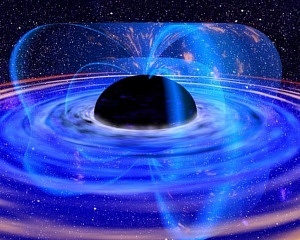 The conclusion must be: Black Holes really don’t have a so called ‘Event horizon’. ‘Falling through the event horizon’ is a myth!